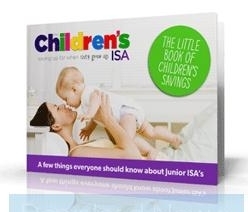 A new type of tax free investment for children, the Junior ISA, was launched on the 1st of November 2011 to replace the now discontinued Child Trust Fund. Any child born outside of the Child Trust Fund years, that is before September 2002 or after the 3rd of January 2011, will be eligible for a Junior ISA. Although there will be no Government contribution as there was with the Child Trust Fund, the Junior ISA looks like being a great way to give your child a good head start going into adult life. Before jumping in with both feet and investing your child’s money however you need to consider all of the different types of investment to decide which is the best Junior ISA for your circumstances. Do you want a fixed rate ISA or one where money can be moved freely? Will you be investing a large lump sum or smaller amounts periodically, such as on a monthly basis? Choosing the right type of ISA is important to maximise the investment. With a fixed rate ISA you will deposit a lump sum with a provider and you will not be able to move it, at least not without penalties, for anywhere between one year and five years. In return you you will get a preferential interest rate. Although the restriction on withdrawing money is not an issue since you cannot withdraw money from a Junior ISA anyway, not being able to transfer to another provider might be. This is because even if interest rates rise and you find you could get a better rate elsewhere, you won’t be able to transfer the money to take advantage of it. You will not usually be able to add to the initial lump sum deposited into a fixed rate ISA so they are not really appropriate if you are intending to save monthly. Instead, why not start with a variable rate ISA and save thorough the tax year then just before the end of the tax year, transfer the balance to a fixed rate product? These are known as “Instant Access” or Easy Access” in the adult ISA world though these names are not really appropriate for Junior ISAs since the funds once paid in cannot be withdrawn until the child reaches eighteen. What they do allow is for funds to be transferred to other providers and for deposits to be made monthly. There are a couple of things to be wary of however. First, there will sometimes be a minimum monthly deposit required. Second, you may need to have a certain amount in the account in order to receive the headline interest rate. You will need to make sure you check these points, as well as whether there are any transfer fees or penalties payable, before investing. An investment ISA has the potential to produce better yields than a cash ISA over the longer term. As it involves investing your capital in the stock market however, there is increased risk. The rate of growth cannot be fixed as it depends on how the stocks perform and it could even be negative, i.e. you could end up with less money than you originally invested. Unlike the adult equivalent, funds can be transferred from an investment ISA to a cash ISA which offers something of an escape route if the investments are performing badly however there will still be penalties. Unlike cash ISAs, there will be fees payable in connection with investment ISA. There will be an initial set up fee of between 2% – 5% of the capital you invest and an annual management fee of perhaps 1% to 2% of any profits. The initial set up fee means that an investment ISA will usually only turn a profit if done on a long term basis.